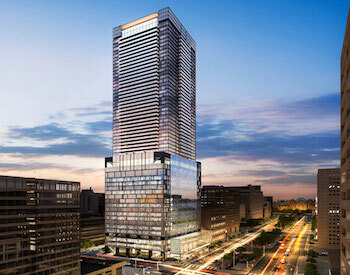 The One, located on the South West corner of Yonge & Bloor in Toronto is Toronto's newest iconic building development. 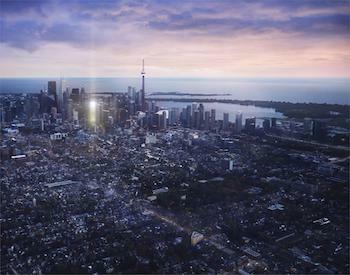 The One will be the tallest building in Canada at 85 stories high and will be composed of 416 units in the 416. 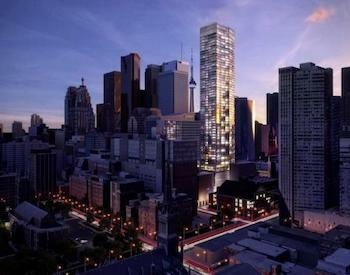 Fleur is a Menkes Development Ltd. condo located at Church St & Shuter St in Toronto. This excellent location is close to the Path, TTC, The Eaton Centre & much more! 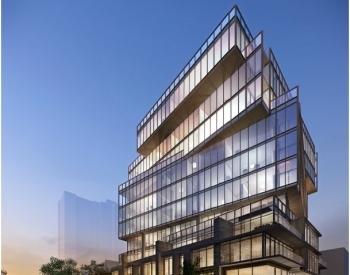 This 29 story Menkes Development is scheduled for completion in April 2020. 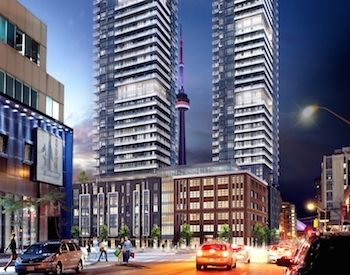 Yonge Street's newest condo project is a mix of new and old. The 1905 Canadian Bank of Commerce building is being repurposed as the new entrance to Massey Tower. 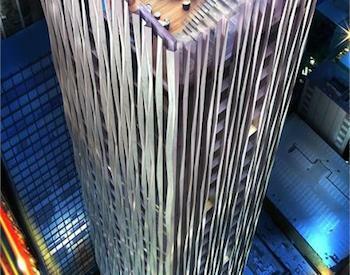 The original building will connect to a glass pavillion and the tower will rise 60 stories above both. 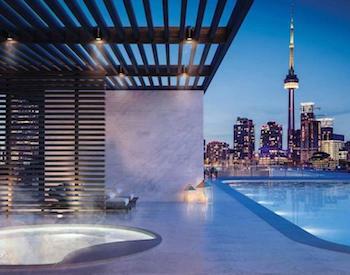 The legendary Sutton Place Hotel will now be the site of Toronto's hottest new condo The Britt. 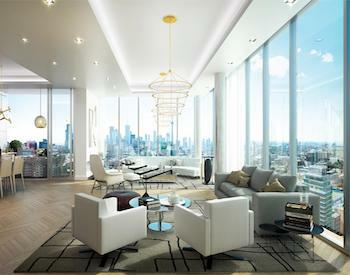 Inspired by London's boutique luxury living, design and architecture this is an address you will want to call home. Located at Bay & Wellesley just steps from Bloor & Yorkville. Artist's Alley at Dundas & University is the perfect place to live and to get creative! Close to the AGO, OCAD University & plenty of local art galleries and shops. 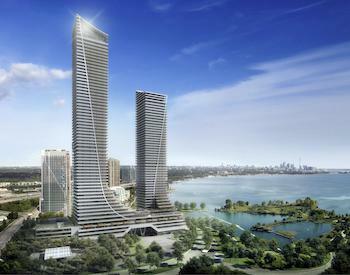 The project is being developed by Lanterra Development and was designed by Hariri Pontarini Architects. 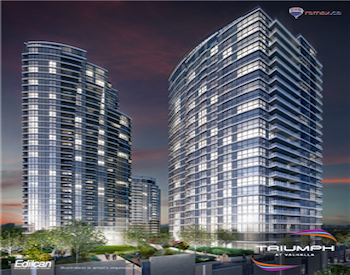 The two Pavilla Towers buildings will be built with luxury and elegance in mind as well as sustainability. 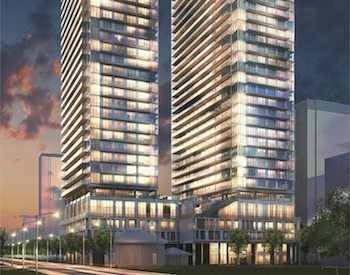 The 38 and 41 story towers will feature incredible views, open concept layouts, gourmet kitchens & spa-like bathrooms, located close to shops, restaurants, transit and parks. 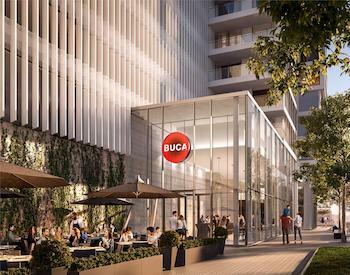 Transit City by CentreCourt in Vaughan will feature a Buca branded restaurant and Bar Buca in the lobby and the building will be located next to the bus terminal and just minutes from the newest subway station at Highway 7 and the Highway 400 for convenience and simplicity. The final phase of Mystic Pointe is here! 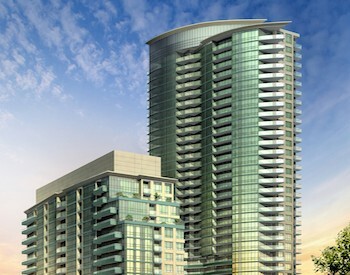 Empire Pheonix will consist of a 29 story tower connected by a grand lobby to an 11 story podium. The building will feature a modern eclectic style throughout and will house an array of amenities. 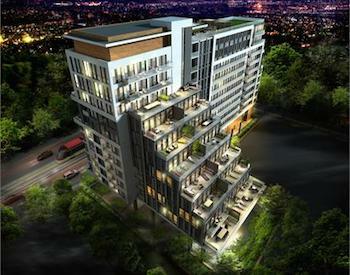 The Plant is Queen West's newest mixed use development. This 10 story building will have a green roof and facade of greenery on one of the exterior walls. 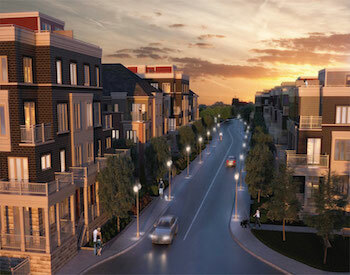 There will be a mix of smaller condos, 2-3 bedroom townhouses, and even 4 bedroom condos. 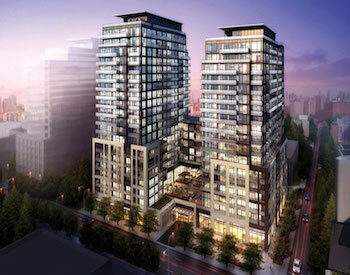 Yorkville Private Estates is a pinnacle residence with state-of-the-art ultra luxury finishes and white glove service. This exclusive residence is located at 200 Cumberland Street at Avenue Road and Cumberland Street in a sought-after Yorkville location. 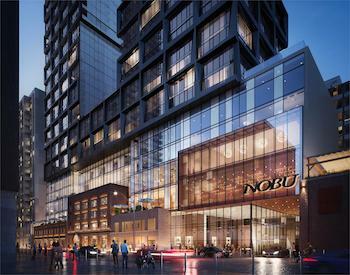 Coming soon to the heart of Toronto's entertainment district is NOBU Residence. 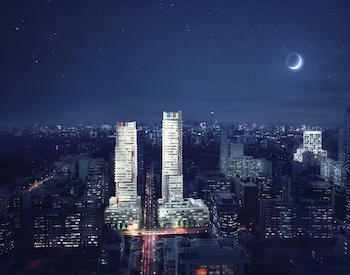 This Madison Group and NOBU hospitality development will feature a NOBU Restaurant, hotel and East & West residential towers and is expected to by completed in 2022. 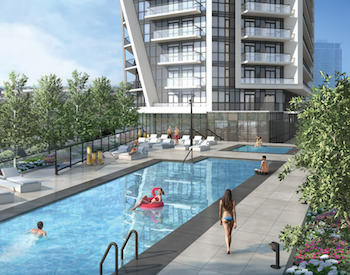 Playground Condos at Garrison Point is located in Liberty Village at the edge of 4 acres of park land and will feature designer finishes, tall ceilings, and the amenties you are looking for in your next home. 432 units will range from 357 to 868 square feet. Luxury lakefront living becomes a reality at Eau Du Soleil. With incredible views of the lake and Toronto's city skyline, you won't want to miss out on this condo. 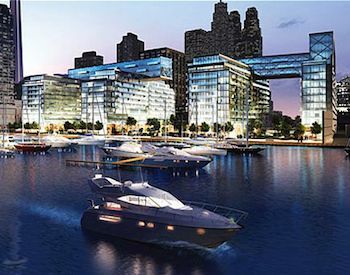 The project will feature resort-like amenities, luxurious designs and incredible views. 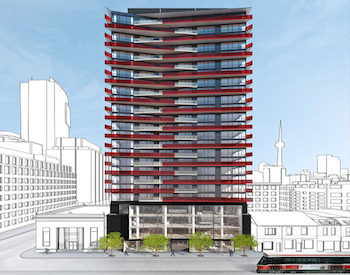 YC Condos will be coming soon to Yonge St & College St with its bold modern architecture spanning 66 stories high. 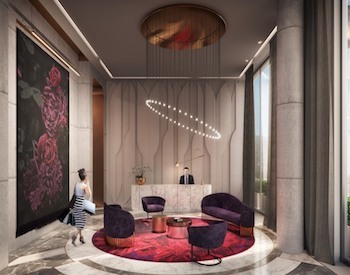 The building will feature 17,400 sqft of sophisticated amenity spaces including one of the most incredible infinity pools in the world located on the 66th floor. The old Weston Bread Factory on Eastern Avenue is a symbol of Toronto's industrial past. Soon it will be revitalized as one of Toronto's newest hard lofts by Graywood Developments & Alterra. 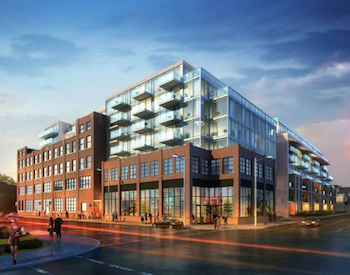 Wonder is expected to offer 289 units of hard lofts and chic condos and towns. 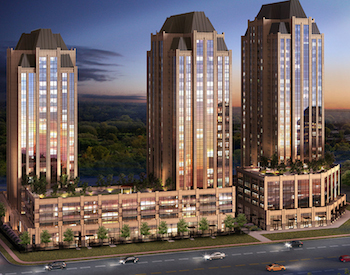 The newest condo to join Emrald city features a balancy between community and privacy. This project consists of seven stories of oasis suites and thirteen stories of tower suites. The building will feature one bedroom, one bedroom plus den, two bedroom, and two bedroom plus den suites. This Daniels project located at Dundas St East & Tubman Avenue is part of Regent Park's Revitalization in Toronto's Downtown East. The project will feature accessible suites and incredible amenities including community garden plots, indoor & outdoor lounges & kids play zone. 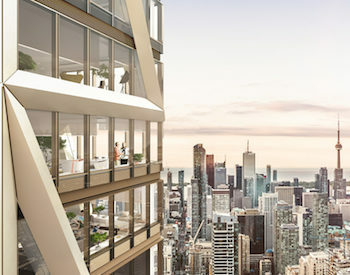 This 52 story technology development located in King West will feature high tech amenities including state of the art conference centre, 100% Wifi connectivity, electric vehicle parking, refrigerated parcel storage and more state of the art amenities. 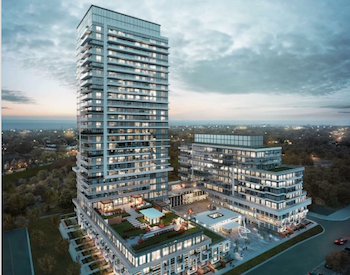 These two Pemberton towers at 99 Broadway Avenue in the exciting Yonge & Eglinton Neighbourhood are sure to be a hit with over 18,000 sqft of amenities including badminton court, half basketball court, outdoor tiered ampitheatre, and rooftop pool with stunning city views. 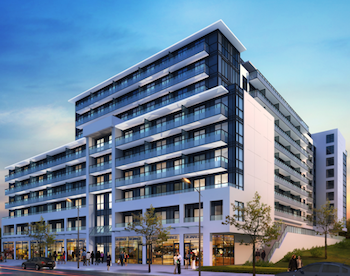 This new development in Bayview Village will be a boutique building featuring luxury, elegance and fashion. The building is located next to the subway for easy access to transit. The amenities include a golf simulator, lounge, exercise room and terrace. 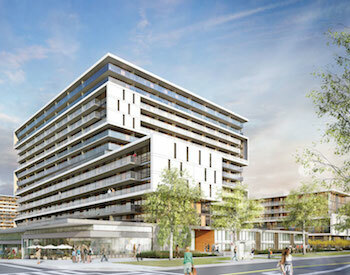 Enjoy the Liberty Village lifestyle in this modern contemporary new building. Highlights of this building include high quality eco-conscious finishes such as a green roof, energy efficient windows, and individually programmable heating and air conditioning. 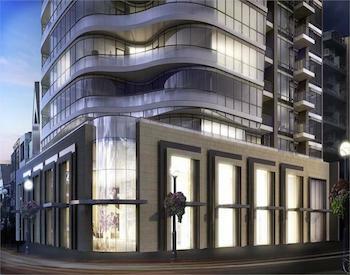 The Art Shoppe features Lofts and Condos in the convenient Yonge & Eglinton neighbourhood. Lofts feature 10' ceilings, & modern European kitchens. Building features 2 weight rooms, 2 cardio rooms, rooftop infinity pool with unobstructed skyline views. 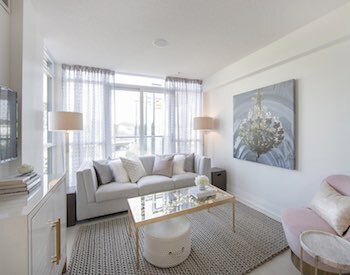 These luxury townhomes feature British influenced contemporary design with an urban twist - rooftop or main floor terraces. All suites feature third floor master retreats with ensuite washrooms. Each unit boasts hardwood floors and a gas fireplace. 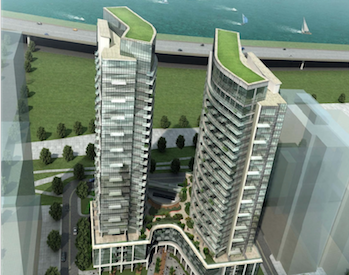 Pier 27 is a world class residence right along the Toronto shoreline by Cityzen Development Group and Fernbrook Homes partnering with Architects Alliance, multi-award winning Munge Leung, and the International Home Marketing Group. 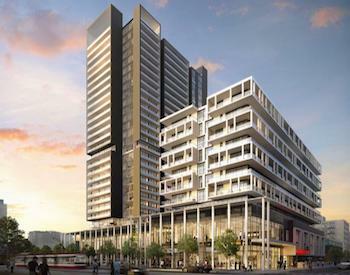 The Yorkdale Condos on Renee Avenue, Toronto triumphs in terms of location. 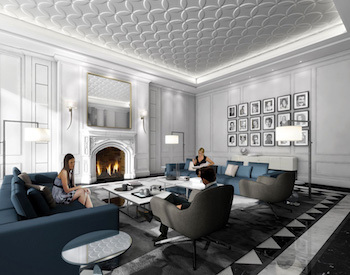 In addition, this new condo will incorporate luxury and extravagance; using the finest material and finishes coupled with classic architectural design. Steps from Bloor-Yorkville shopping, this 58 storey development is going to catch second, third, and maybe some fourth looks. With dedicated spa floors, and round-the-clock concierge services, you will be in the lap of luxury and close to Toronto best shopping! Twenty is a striking new addition to Streetcar’s Queen West neighbourhood that completes the urban district with this seven-storey building of 112 stylish lofts. Residents can enjoy all kinds of cool shops, convenient services and amenities. 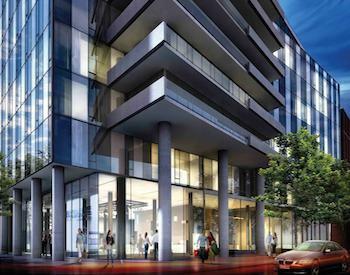 A new Minto development is in the works in the King West area, on Bathurst and Front. This location is perfect for multi-faceted residents who enjoy both serenity and excitement, with over 298 restaurants within a 15 minute walk! 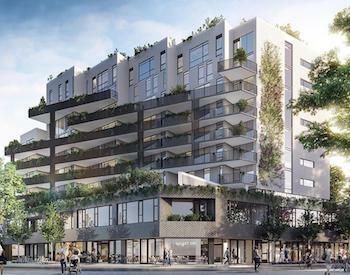 Sitting in one of Toronto's most buzzed about neighbourhoods, Leslieville, The Carlaw will offer the perks you are seeking from an urban lifestyle. One of the greatest areas to dine, drink, shop, and live in the city! 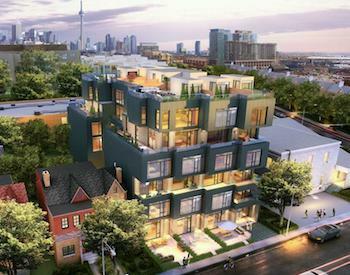 The Carlaw will also feature 12 live/work townhouses! 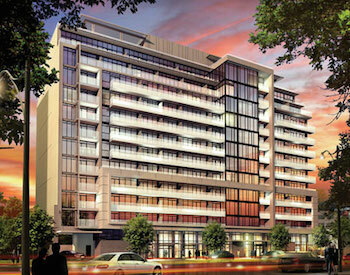 Find the perfect lifestyle in the Art and Design District with The Carnaby at the Queen and Gladstone neighbourhood. 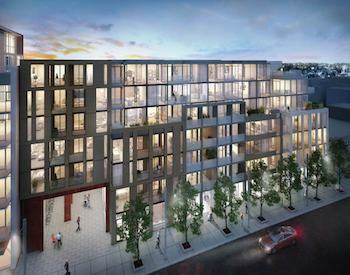 This new condo project will be a mixed-use of residential and retail space. Amenities include a terrace, theatre room, exercise room, and more. 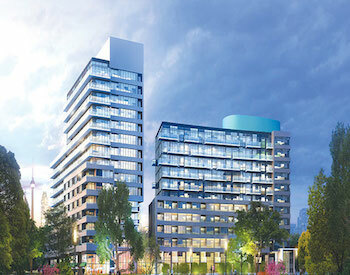 A new 11 storey development by Madison Homes and Fieldgate Homes. This stunning new development inspired by an ancient architectural design called Ziggurats, will be offering 166 units (ranging from 500-1776 sq ft) starting in the low $300 000s. 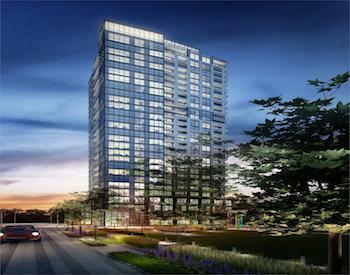 Introducing a new 28 story condominium project by award winning Concert Development. The KIP District will be everything you'd want in what you'd call home. Register with Ken today so you won't miss out on this amazing opportunity to own one of the 283 suites! Minto Yorkville Park is true glitz and glamour, think The Great Gatsby mixed with modern architecture. Gold detailing graces the building which will strike your eye but so will the landscaped roof top terrace on the 7th floor. What a wonderful place to relax! Offering contemporary urban designs and a broad variety of indoor/outdoor amenities (i.e. 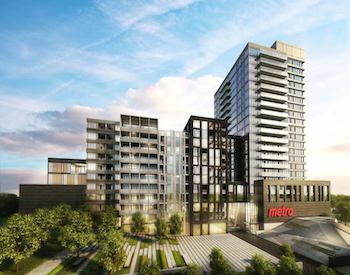 express shuttle to subway and shopping, direct natural gas BBQ connection, suite terrace and patio, etc), this condo project is sure to be the next hot new place to live. 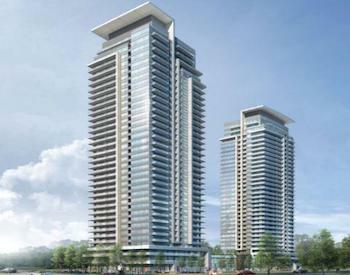 With 25 storeys and 256 untis, the Smart House new condo development project by Urban Capital Property and Malibu Investments Inc is smart and innovative. The intriguing yet intricate design of each suite takes clever living to the next level. Just a few minutes walking from the the bustling St. Lawrence Market, residents of Axiom Condos will have a front row seat to the historic life of the area. The market dates back to 1803 offering access to over 120 specalty food vendors! This fantastic new development by Diamond Corp, Cityzen, and Fernbrook Homes, will sit alongside history, as it will be integrated into the Gooderham Mansion (currently the Clarion Hotel) which once housed Ernest Hemingway. The eye catching building will be 49 storeys and offer 499 units. 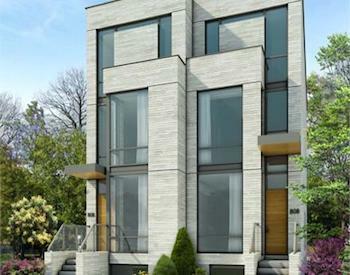 A new semi-detached housing project by Urbancorp, The Homes of St. Clair West new development project features all brick semis, with four bedrooms, basement apartment and double car garage. These new homes will surely capture your love at first sight. 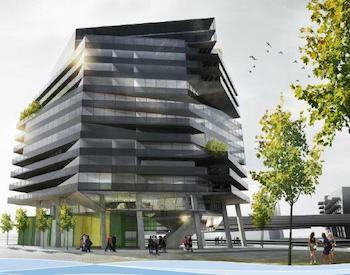 If you love the water, then this building will be calling your name from Toronto's waterfront. 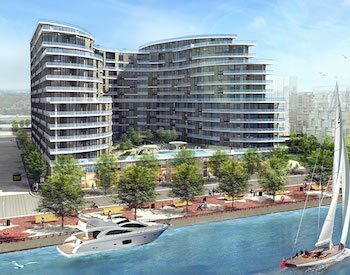 The beautiful condominium by Tridel and Hines will be located on Queens Quay East and Lower Sherbourne St - just steps from the water. This heritage-rich area is reminiscent of Long Branch, a summer vacation hot-spot in New Jersey, a place which in 1884 inspired Thomas Wilkie to create a version of it in Toronto. 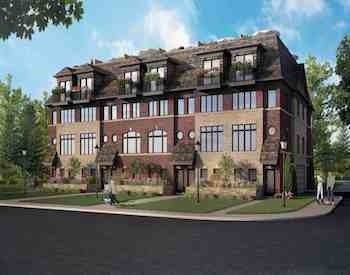 These townhouses will be a great addition to the historic community. 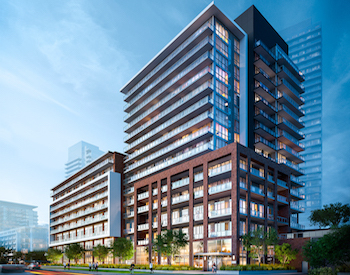 This stunning 913 unit condo by Greenland Group will be situated in the heart of the King Street West Neighbourhood, at King West and Blue Jays way. This area is the meaning of Toronto culture, and the condo itself has incredible amenities. 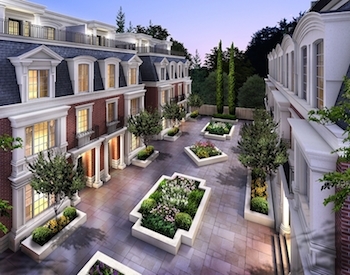 Experience what it's like to live in the lap of luxury in Forest Hill. This 12 unit development by National Homes is the epitome of class, with exquisite features selected by the talented interior designer Alex Chapman of Union 31. 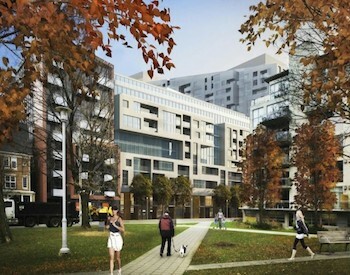 The townhouses will sit across from Winston Churchill Park. Talk about true urban Toronto living. 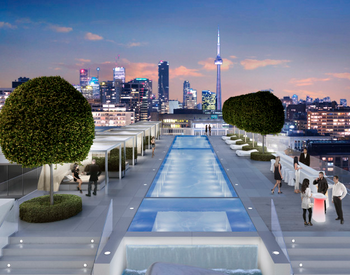 Overlooking the CN tower, Infinity 3 condos are situated right between the Rogers Centre and the Air Canada Centre. Not only that, but it overlooks the waterfront as well. Your list of things to do around here will be long! This grand 55 storey development will soon give future residents an opportunity to live elegantly on Toronto's iconic University Avenue, and be part of the stunning city skyline where the arts, fashion, and business districts intersect. 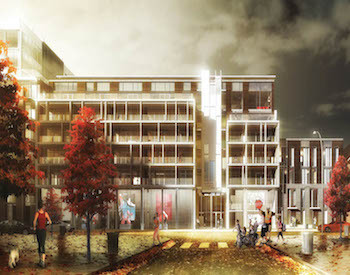 The Taylor by Streetcar Developments on 1220 Dundas Street East incorporates 96 modern lofts and urban towns in a striking and innovative exterior architectural design by TACT Architecture Inc. at Toronto’s most artistic district, Leslieville. 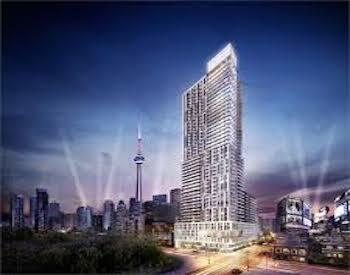 Set to define the new standard of urban luxury living, the Dundas Square Gardens New Condominium development project by Easton’s Group of Hotels will be a 48-storeys, 968 units iconic residential landmark soaring in the heart of Downtown Toronto. 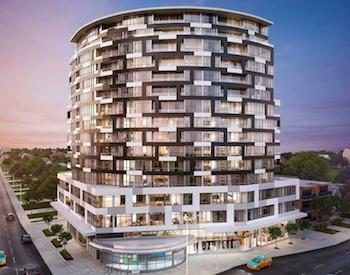 Be the selected few to grasp the rare opportunity of Park Avenue Place at Jane Street and Rutherford Road of Vaughan - a 22 storey-182 suites condominium tower that combines the finest materials and finishes with timeless architecture design. Enjoy nature, parks, shops, shopping malls, good lifestyle, great city view, convenient public transit access and much more right at your doorstep. 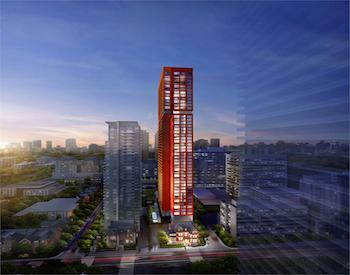 The Futura Condominium is a 15 storey new condo where accessibility meets design and style. Canary District is a 35-acre visionary community anchored at Ftont and Cherry Streets.The Canary Park Condominiums is an exciting first phase of the Canary district and redefines the concept of parkside urban living, connecting nature with city living. 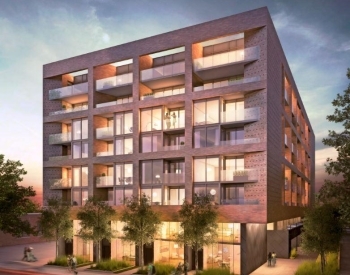 This 10-story boutique condo building is in the heart of Roncesvalles, affectionately known as Roncy, the strip that houses many of the city’s newest and hottest restaurants, not to mention the independent coffee, grocery and vintage shops. Steps from Queen Street West, within walking distance to Toronto’s financial district, the vibrant Queen and King West nightlife, and easy access to Toronto’s public transit - Everything you can find and everything you can do, it’s all here.